On the Goddesses of Canaan: A Short Essay. In a recent Biblical Archeology Review magazine article there was a discussion on several finds concerning house shrines. The small house shrine, published by Biblical Archeology Review1, launched even more support for the hypothesis that the deity Yahweh may have had a consort. All throughout Old Testament literature the priestly cast wrote against the worship of a goddess and attempted to remove her and all such ideas from the literature and culture. Later in exilic and post exilic texts, the goddess worship was seen as and compared to adultery. It is in these text the even the very idea of womanhood was look poorly upon. Texts like Isaiah, Hosea, and Jeremiah all speak on such topics, and in their chastisements and laments against corruption and injustice, the topic of adultery is a common theme. However, it must be pointed out that the Asherah pole remained in the Hebrew temple until the reformation of King Josiah, also, the Hebrew texts of the duel between Yahweh and Baal on the mountain with Elijah, where the priests of Baal were killed but the priestesses of Asherah were spared. Such an example shows the presence of and toleration, to some extent, the acknowledgement of a goddess, even if the priestly caste of the state religion, and the Yahweh cult disapproved. After the Hebrews took over the land of the Canaanites and started to settle in farming communities, the old warrior deity, Yahweh, started to become obsolete, thought through out the literature he is constantly dueling with Baal his Canaanite counterpart, he also had to share the spotlight with the goddesses also, the most popular being Asherah, Astarte, Anat. Research that covers this struggle and debate can be found in the book, The Hebrew Goddess. by Raphael Patai. In the Ugaritic literature and else where we find others that may have been lesser known goddesses that may have a played small functions. Sifting through such a list is difficult because over time, as with gods, the goddesses also were combined together and played the same role. Below in this short essay we will look two of these lesser known goddesses of Canaan and their functions. Shapshu, goddess of war and the sun We find references to this goddess in Ugaritic literature where she functions as a messenger of El advises Baal in the epic to go to the underworld with his servants and daughters and fight Mot, the god of Death. When Baal does not return she asks Asherah for a son to set up as king in the place of the mighty Baal but the candidate does not meet the requirements. It humorously appears he was to small to fill the role as the text conveys. give me one of your sons; . with Dagon’s son in contest.” And Lady Asherah-of-the-Sea replied: “Can’t we make Athtar the Awesome king? 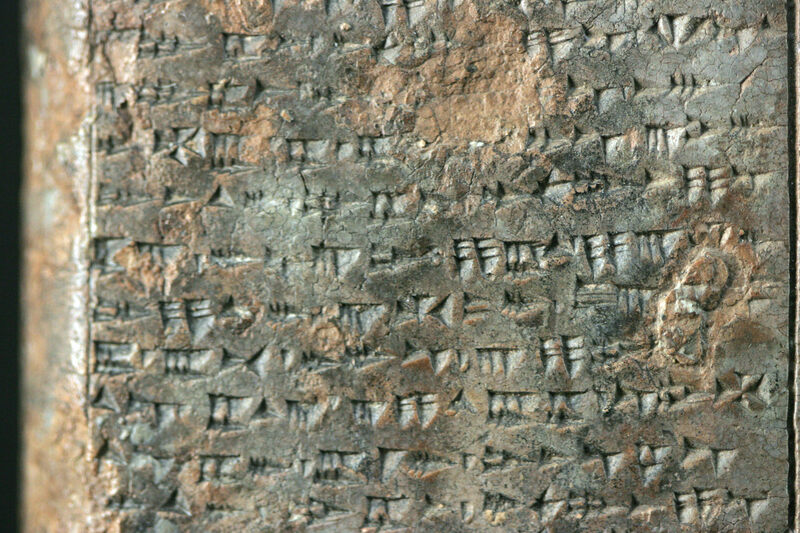 Another little known goddess, or goddesses, Kathirat, were associated with wisdom and also of child birth meets with, also plays an important role in Ugaritic literature. Here in the Ugaritic text of Aqhat, we find the hero Danel in want of a son. He entertains and feasts to the goddess and her helpers seven days and then counts the months to the birth of his son. The request is granted. Such ideas may better help us understand Hebrew poetry such as the Song of Solomon, and the texts concerning Abraham and Sarah, for all have the same themes. Another would be the story of Kathirat and Nikkel. Kathirat brings everything that is needed to the wedding of Nillel , the goddess of the “fruits of the Earth” in her marriage to Yarikh the god of the Moon. 5 Also such ideas and texts such as in Isaiah and such announcements of messianic nature may also be influenced by such ideas. Old gods and goddesses never die. Any an avid reader of anthropology, mythology, and religion will be able to see these Gods and Goddesses morph into other functions and roles as the needs and influences of the society change. As with the gods, so to the goddesses compete for roles of dominance and elbow their way in and get elbowed out of pantheons by the more powerful. Even though in Hebrew literature the references were minimized and at times possibly edited out, we know that the idea of the goddess played an important role in early Hebrew culture 6. At times texts by the Hebrews may have been written in direct contrast to popular epics of their neighbors. We end with a rather humors reply to Jeremiah which underlies the layperson’s view of the Goddess as compared to the priestly view. « The Battle Within: Embarking On The Hero’s Journey. Truth and stop the Abrahamic religious madness once and for all time. The Abrahamic religions are the world’s biggest danger to peace and have been the primary instigators of world slavery, (Islam and Christianity) and genocide of non-Christian pre-industrialized societies. Today Islam and Christians and Jews are on a collision course in the Holy Land. I am asking all people who have access to modern research to step forth and follow the increasing evidence that the foundational Hebrew story of Abraham and Sarah is a corruption of lost in translation even more ancient Hindu Vedic gods, Brahma and Sarasvati with Melchizedek, the mysterious “King of Salem” being the Hindu prince, Meliksadaksina, and other variations of lost in translation Sanskrit words appearing in the Hebrew versions as Hebrew names and terms. Steve Lewis Thank for adding your opinion. However, I believe that if you looked hard enough every religion had a hand in the issues you bring up. Their were raiding parties who identified with the god Indra. Any belief can be converted into a tool of slice and dice. And any religion can be turned to peace, just like in the later Vedic texts. Do not do what you hate to your neighbor. Each transformed the Myth into it’s own culture and interpreted it differently. we are still doing it today. Yes, we are still doing it today. Yesterday, Israelis acting on their Abrahamic myths that teach them to hate their Gentile neighbors killed several children and one old man I think. That was yesterday. Today somewhere in Afghanistan or Iraq Muslim men are torturing some innocent person and the same at Gitmo with a born-again Christian in office. Please, no more facile answers. Let’s start doing something about the Abrahamic carnage! Only intellectuals with historical truth on their side can defeat these modern religious throwbacks ruining the world for everyone else. Tell your scholar friends to stop letting Abrahamic religionists get away with murder in the name of their myths. It’s as simple as that! Steve Lewis-I still hold to the view that it is not only the Abrahamic myths that are used as a tool for destructive ends. The literature clearly shows this. This is not a political site, but a site comparing religious literature. Eager for glory, laboring with praise songs: he is like home, like sweet and fair nutrition. Who, Lord of envied bounty, to a singer like me brings quickly booty worth the capture. When, Faithful One, the dread encounter cometh, then be thou the Protector of our body. Further the holy thoughts of Vamadeva be thou a guileless Friend in fight for booty. We come to thee whose providence protects us: wide be thy sway for ever for thy singer. May we rejoice through many autumns, quelling our foes, as days subdue the nights with splendor. That he may, ne’er withdraw from us his friendship, but be our bodies’ guard and strong defender. Now, Indra! lauded, glorified with praises, let power swell. high like rivers for the singer. Sorry, I actually believe religion requires moral responsibility but I guess that’s an option here. If these myths stood only as esoterica I wouldn’t need to speak out but that’s not the case and no one can truthfully deny Abrahamic religionists are not responsible for the vast majority of human warfare in the last 2000 years. amazing how you consistently demonstrate no understanding of what you are reading…..
Yahweh never had a consort….Israel was the center of God’s heart. as it was to bring forth the Messiah. False gods were condemned. Thanks for the comment. There is a difference between theological history and secular history.